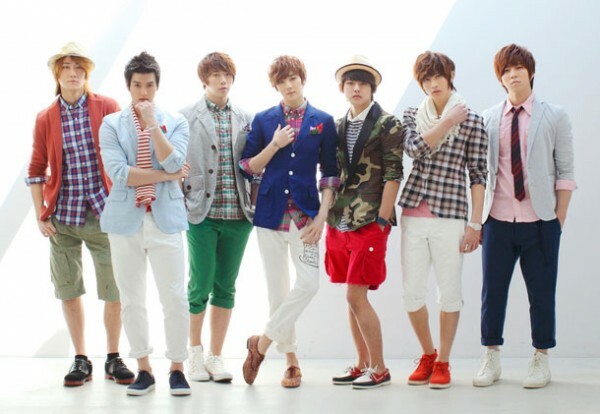 U-KISS announces new Japanese single, "Dear My Friend"
Approximately five months after releasing their album "A Shared Dream" in February, Korean boy band U-KISS will be releasing a new Japanese single titled "Dear My Friend"! The Korean group's newest single is slated for a released on July 25th, and is said to be a fresh, medium-tempo tune with the theme of friendship. 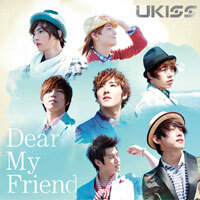 "Dear My Friend" is currently airing as the ending theme to the TV anime "Arashi no Yoru ni Himitsu no Tomodachi". The coupling track "Beautiful", which was written by member AJ, has also earned a tie-up as the CM song for Kintetsu Department store's "Passe Bazaar" CMs. 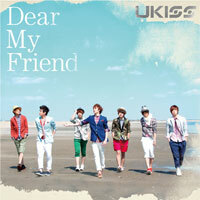 The jacket covers for the single are just as bright as summery as the song promises to be, as are the promotional photos for "Dear My Friend". Check out the covers and track lists for both the CD+DVD and CD-only versions of the single below! Mizuki Alisa becomes a 'bar mama' for "Catherine"